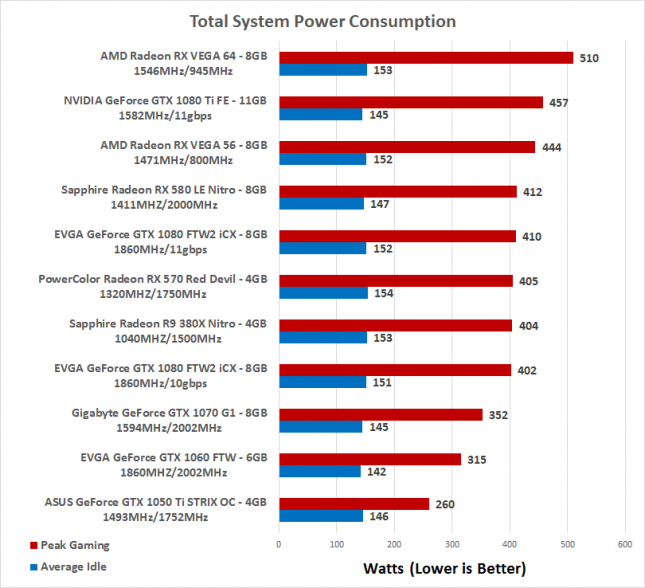 Power Consumption Results: The AMD Radeon RX VEGA 56 video card is rated at 210W and the GeForce GTX 1070 is rated at 150W, so the outcome here is to be expected. We hit 444 Watts on the Vega 56 and just 352 Watts on the GeForce GTX 1070 while playing BF1. The AMD Radeon RX Vega 56 used 92 Watts more power in this game title!